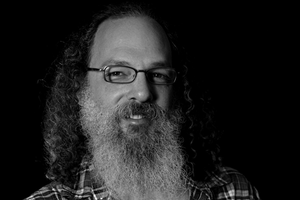 Andrew Scheps has engineered and mixed for some of the biggest rock bands in the world: Metallica, Red Hot Chili Peppers, Weezer, Audioslave, Black Sabbath. Linkin Park, Green Day and U2. He's also worked with icons such as Adele, Johnny Cash, Neil Diamond and Iggy Pop, as well as indie artists such as Manu Chao, Rodrigo y Gabriela, Duke Spirit, Cass McCombs and Blood Red Shoes. Andrew started as a musician, but found that what he enjoyed most was working behind the scenes. This led him to study recording at the University of Miami. After graduating, he spent some time working for Synclavier, and then on the road with Stevie Wonder and Michael Jackson. But he found his home in the studio, and he honed his craft working for producers such as Rob Cavallo, Don Was and Rick Rubin. Having learned from some of the best in the business, Andrew has also been producing bands including Low Roar, Gogol Bordello. Favez and The Duke Spirit. He also founded indie label Tonequake which is home to a growing roster of artists.